This girl is just so cute with her polka dot dress and little bunny! I got this stamp as a gift with a purchase (similar stamps here), and I wasn’t sure I’d like it at first. It just didn’t seem my style. But then I stamped her and colored her, and fell in love. I used Copic markers for the coloring, added polka dots to her dress using a white gel pen and then cut her out with scissors. I colored a background on a card panel using an assortment of Copic markers, and stuck her onto the panel using foam tape to give her a little dimension. 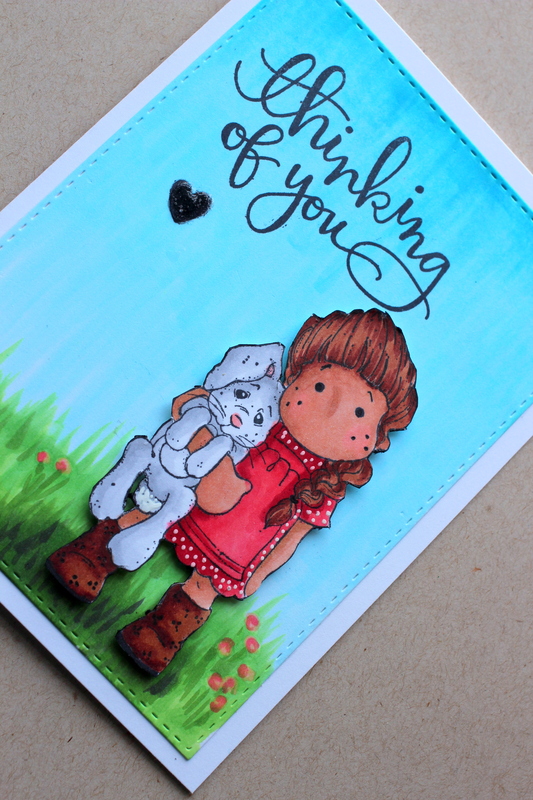 Then I stamped the Thinking of You sentiment and added a little heart that I made glossy using a bit of glossy accents glue. Perfect for Easter! 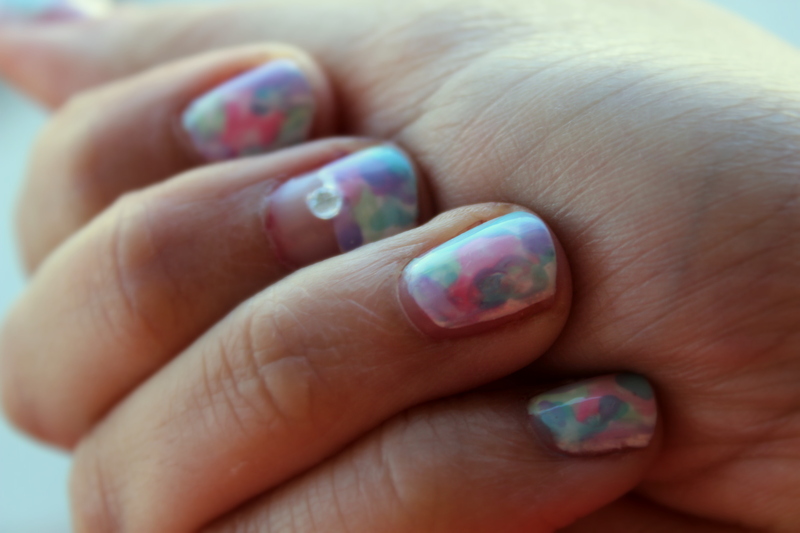 Finally posting this week’s mani! I’m frustrated about the fact that I wasn’t able to get it up until now, but sometimes life gets in the way. This week I tried some fun Easter-egg designs for the upcoming holiday. 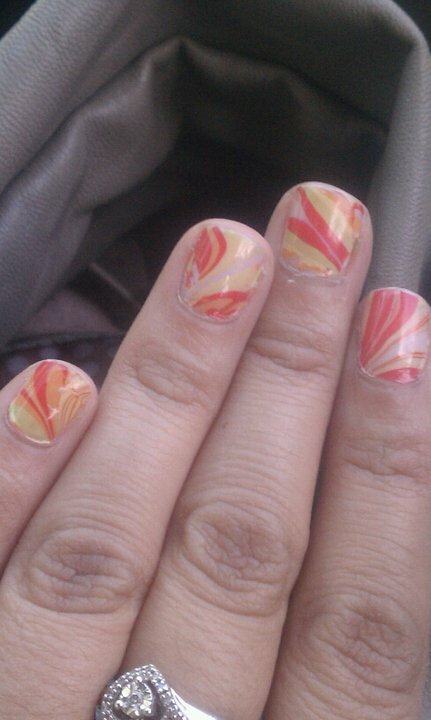 I first painted two coats of the Portia then used the Milani polish to create different designs on each nail. 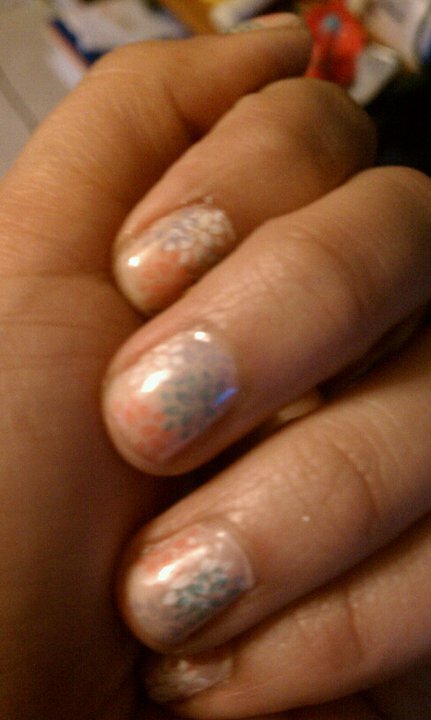 I used a dotting tool for the polka-dot nails and ended up with cute Easter-egg lookin’ fingers. 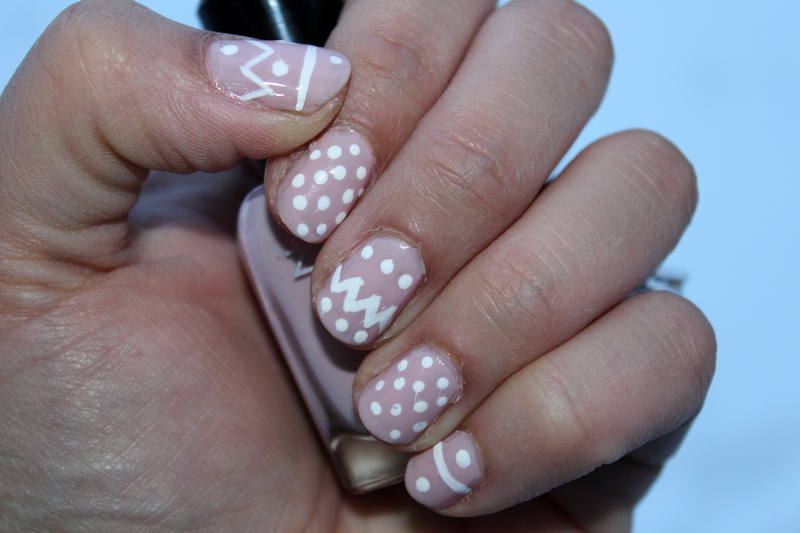 You can also check out last year’s Easter nails, and a round up of Easter nail ideas for more mani inspiration. Apologies for being MIA this week. 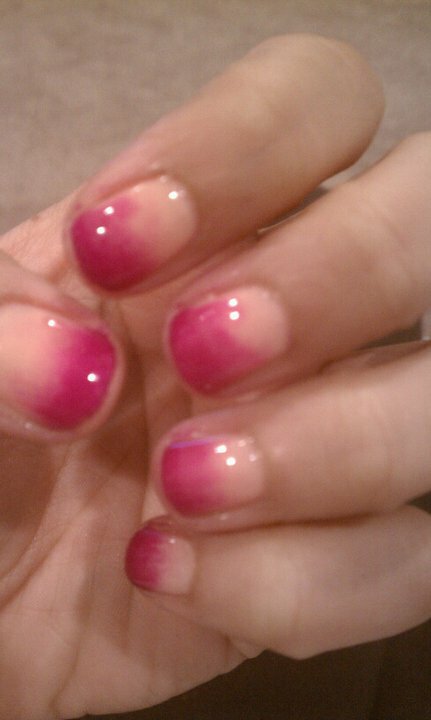 I’ll be posting a midweek lateweek mani later today (I hope!) but in the meantime, check out this great Easter egg roundup from Almost Perfect. 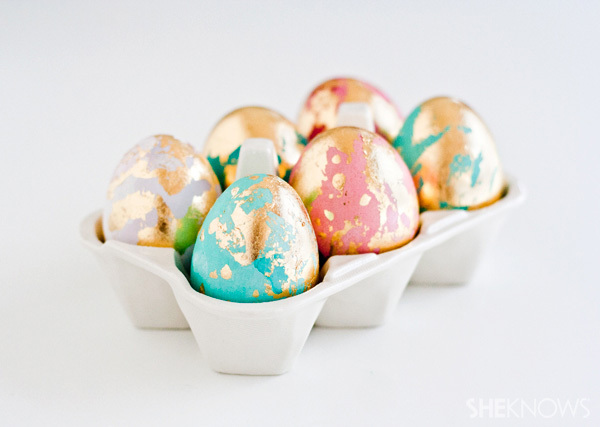 I especially love these gold leaf eggs – the tutorial can be found at SheKnows. 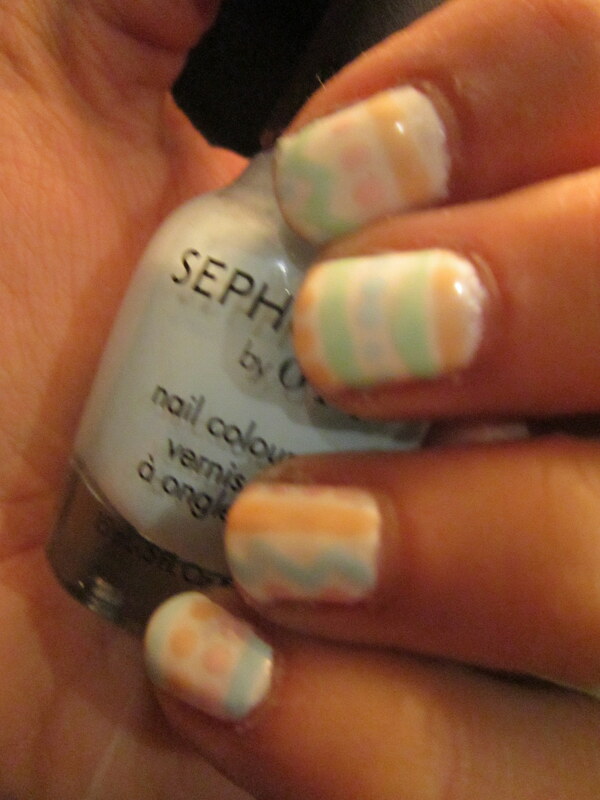 After a long day of baking and furniture flipping, I sat down and created and Easter-egg inspired manicure. 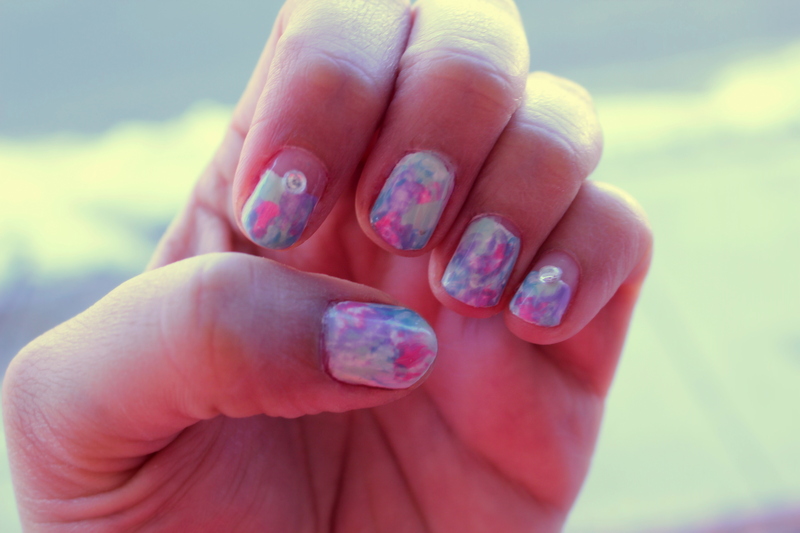 After painting on a white base I used several different pastel colors to paint different designs on each nail. I like the subtle effect. I do not like how my skin is especially dry looking in this photo, though. I think I need to just stop doing dishes! I was first inspired to do this design after I saw a pin on pinterest that lead me to this blog post. The picture quality is not great because they’re mostly cell phone camera shots, so bear with me. A makeup sponge and two contrasting pink shades. For this I used a light base coat then used my bundle monster stamp kit to stamp on flowers in a random pattern all over. I actually wore this for Easter last year. I used a water marbling technique to do this. You can check out how to do it here. 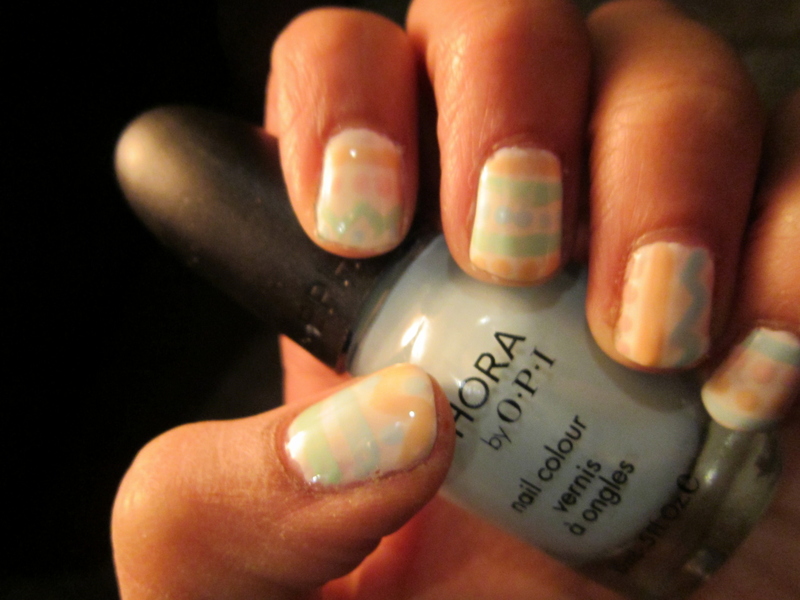 This would be really nice for Easter using several pastel polishes!